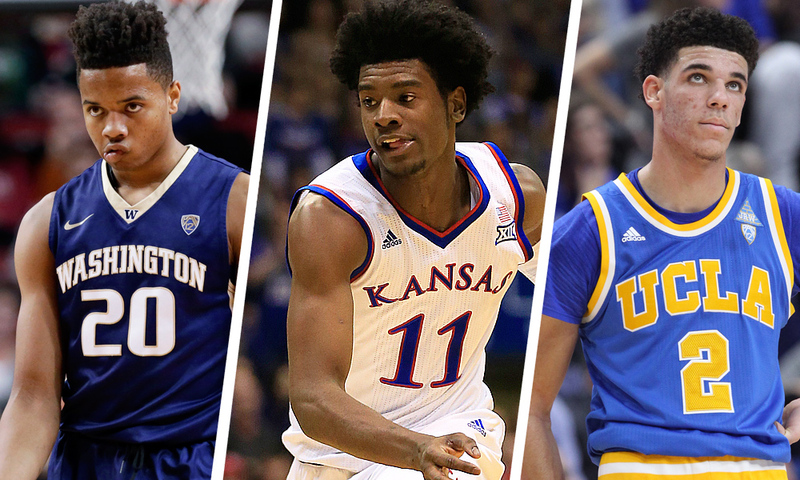 The 2017 NBA Draft is just one week away, and this year’s draft class is jam-packed with high-level talent. This week, we’re going to take a look at the specific needs of each team in the league as the big day draws near. We’ll start with the Western Conference. Lakers’ head coach Luke Walton publicly stated that the Lakers did not tank this season, and because of that the “basketball gods” rewarded them with the second pick in the 2017 NBA Draft. While I would disagree that the Lake Show didn’t tank, it’s clear that they’re in the middle of rebuilding and they are still missing some key pieces in order to be a relevant contender in the Western Conference once again. The Lakers’ young roster includes D’Angelo Russell & Brandon Ingram who look to be promising talent, but the team has some specific needs in the point guard position as they look to make plans for the long term. UCLA stud Lonzo Ball (PG) has certainly made headlines with the assistance of his questionably outspoken father LaVar Ball, and he looks to be a solid option for the Lakers. Ball Sr. has stated that his son will only play for the Lakers, but the organization has made it clear that they will not allow LaVar to interfere with Lonzo’s career. As such, LaVar has been excluded from attending Lonzo’s practice with the Lakers before next week’s draft. Daddy drama aside, Lonzo should fit in nicely with LA’s young roster as they all grow together. The Lakers are better than they let on so I expect to see them become a serious threat here soon. Finishing dead last in the Western Conference this season, the Phoenix Suns are also rebuilding using Devin Booker as their foundation. The Suns struggled with their piece meal roster that includes players like Tyson Chandler and Leandro Barbosa who will likely be key trade-able pieces on draft night. Booker brought in an impressive 22 points per game in his second NBA season, but the Suns will need more ammunition if they want to compete in the shooter-heavy Western Conference. However, what Phoenix needs most right now is a small forward. The forwards they have on the roster are mostly undersized–with the exception of rookie Marquese Chris and he projects as a power forward. At the fourth pick in the draft, Phoenix will probably have the first shot at Jayson Tatum (Duke) or Josh Jackson (Kansas) who both rank high at the small forward position. But, they would be best suited by picking up Jonathan Isaac (Florida State). Isaac has a size advantage at 6’10” and he’s known to play tough and physical under the rim. Booker’s shooting prowess combined with Isaac boxing out under the rim could be a match made in heaven. The DeMarcus Cousins trade cemented the Kings’ rebuilding position in the Western Conference this year although the team briefly rallied after his departure. Sacramento placed all their eggs in the Boogie basket, and it simply didn’t pan out so now they start over. The Kings have a couple of possible options to build a core around, but they also carry a lot of veteran weight in Ty Lawson, Kosta Koufos, and Arron Aflallo that they may look to shed in the off season. The Kings have needs in all areas at the moment, but they really need to look for the one guy they can build a roster around. That’s typically so hard to decipher when looking at draft picks, but if they can look for leadership and passion as part of the ideal candidate’s requirements that will help narrow it down. Things may change over time, but rookie Buddy Hield didn’t pan out as expected in his first season and I have my doubts about his ability to step into a leadership position quickly. If I were making the decision I would focus on securing a sharp shooting guard that can learn from Lawson–on the court that is. Washington freshman Markelle Fultz would be ideal but there is no chance he’ll be around at five so maybe De’Aaron Fox comes into play. Sacramento will also do well to trade for a better veteran center to mentor Georgios Papagiannis, and Skal Labissiere as they appear to be very promising young players. The Timberwolves have no business sitting at 13th in the West. Sure, their roster is young, but they’re so incredibly talented they should be far more successful than their record has shown this past season. The T-wolves’ main problem lies in backcourt defense–or the lack there of. Point guard Ricky Rubio leaves much to be desired, and at 6’4″ he should really be dominating the other guards in the league. While Kris Dunn trains to succeed Rubio as starting guard, the Timberwolves need to focus on procuring a strong shooting guard to come off the bench for Zach LaVine. LaVine should be back and healthy next season so Minnesota will have the time they need to allow a rookie guard to come up through the ranks properly without being thrust into the spotlight too quickly. As Dirk Nowitzki‘s career draws to a close, the Dallas Mavericks are finding themselves in a similar position that the Spurs found themselves in this season after losing Tim Duncan. Nowitzki’s 18-year professional career has brought tremendous success to the Mavs, but Dallas is already struggling with his salary still weighing down the roster. As amazing as Nowitzki is, my opinion is that it’s time for him to retire to make way for new life in the organization. Unfortunately, I don’t think Dirk has any plans to retire this season so the Mavs will need to focus in on getting in a fresh young guard to shake things up. Seth Curry and Yogi Ferrell have both made solid contributions, but neither of them project to be what Dallas needs in this guard-focused league. Boston will likely secure Fultz, while the Lakers look to acquire Ball, but Frank Ntilikina of France would also be a great fit for the Mavericks if he is still available by the 9th pick. Ntilikina brings international professional playing experience as well as a 6’5″ stature and a 40% three point average to add scoring power to the Mavs’ roster. Offensively, Ntilikina makes sense in Dallas and he would be a key foundational component moving forward in a post-Nowitzki era. Lucky number 13. While many would think the 13th pick in the draft is an omen, I would like to note that both Karl Malone and Kobe Bryant were selected as the 13th overall pick in their draft class. The Denver Nuggets have also had their challenges this season after being edged out of the playoffs by the Portland Trailblazers–bitter rivals in the making. The Nuggets’ identity is being built around point-center Nikola Jokic, and the team is slowly getting it together. However, the baby fresh Nuggs are still missing the mark on defense by a long shot. Denver needs to focus on getting a solid power forward that can defend–someone who other players are afraid to mess with. Indiana Sophomore OG Anunoby has shown to be a good prospect for bringing a defensive focus to the Nuggets’ roster and is also looking to be a favorite among Nuggets bloggers. Jonathan Isaac is another favorable option with a couple more inches of height than Anunoby. If I had my druthers, the Nuggets would trade away Jameer Nelson and start Jamal Murray at the point. Murray is a much better defensive player, and I’d like to see him combine with Anunoby or Isaac to up the Nuggets’ defensive game next season. After trading away Mason Plumlee to the Denver Nuggets in exchange for a draft pick and dud-turned-stud Jusuf Nurkic, the Portland Trail Blazers were able to capture the 8th seed in the Western Conference only to be eliminated by the Golden State Warriors in the first round. Portland is another one of those teams that has no business being as unsuccessful as they have been this season. A killer backcourt in Damian Lillard and C.J. McCollum combined with the locomotive that is Nurkic under the rim proved to be a useful lineup for Portland in the last third of the season. The final piece of the puzzle for the Trail Blazers will be a power forward that can complement Nurk under the rim without getting in his way. Harry Giles (Duke), and T.J. Leaf (UCLA) would be a great fit on the Trail Blazers roster having the support they need to come up slowly. The Trail Blazers will be a serious threat in the West next season if they can keep the band together and keep Nurkic stable. Russell Westbrook had one incredible season. Not only did he break the all-time record for most triple-doubles ever recorded in a regular season, he’s likely to win the MVP award, and he was also recently crowned Shaqtin’ a Fool MVP. However, the same cannot be said of the Oklahoma City Thunder as a unit. Some have criticized OKC stating that Westbrook is the only player on the team who pulls his weight. While I think that may be a bit extreme, the general criticism of the Thunder’s support of their star is fair. The Thunder have the burly New Zealander Steven Adams who does a great job in his role, but OKC really needs some support on the outside. Westbrook can only do so much on his own, and if the Thunder were to be able to acquire a power forward that could combine with Adams under the rim to secure defensive rebounds and second chance opportunities on the offensive glass, Westbrook’s effectiveness would increase exponentially. Additionally, a strong power forward would be able to muscle to the rim to score against more physically challenging teams. Lauri Markkanen (Arizona), and John Collins (Wake Forest) would be good options to bring both size and athleticism to the Thunders’ fledgling roster. The Jazz were somewhat of a sleeper team this year, and I think quite a few were surprised to see them at 5th in the Western Conference just barely behind the Los Angeles Clippers. Their roster is as deep as it is young, and their lineup options are virtually endless. Gordon Hayward is a superstar in the making combined with Rudy Gobert who’s length is as formidable as anyone in the league. Dante Exum‘s contribution to the Jazz has been fairly lackluster overall, and although he’s still young, the Jazz will want to bring in another point guard to add to the developing roster. Fox and Malik Monk from Kentucky are viable candidates to bring on board in this year’s draft–that is if they go un-drafted until the 24th pick. The good news for Utah is that this year’s draft class is heavy in the point guard category so their chances of landing a good pick are high. To say that Tim Duncan‘s retirement was a loss to the Spurs organization goes without saying. However, the Spurs still managed to rank second in the Western Conference this season, and if Zaza Pachulia hadn’t injured Kawhi Leonard, I truly think we would have seen the Spurs in the Finals instead of the Warriors. Nonetheless, making it all the way to the Western Conference Finals the year after losing a Hall of Fame player is impressive. The Spurs organization is a machine. They’ve mastered the ability to help players become the best version of themselves by focusing in on their role and relying on their teammates. Their model of team basketball is a thing of beauty. It’s insulting to say the Spurs need to find someone to replace Duncan, but they do need to find another center to complement Leonard and LeMarcus Alrdidge in the starting lineup. Aldridge shines best as a true power forward so the Spurs need to set their sights on Zach Collins (Gonzaga) or Justin Patton (Creighton). Most teams have needs that lie in the guard or forward positions so they Spurs may get lucky by having one of these guys available at the 29th pick. Some may disagree with me here, but the Pelicans are going to be in very bad shape next season. Cousins and Anthony Davis are prime examples of great players who don’t make their teams great, and combining the two will prove to be an epic disaster. Anytime you have one guy scoring 30, 40, or 50+ points a night in a team loss there’s a serious problem. I believe the best thing the Pelicans can do is to trade away Cousins and Davis and completely start over. Apart from those two, there really isn’t anyone the team that New Orleans can count on. The chances of this happening are slim to none so if the Pels insist on keeping the two dead weights then they need to try to get some semblance of a decent guard at the 40th pick in the draft–not likely. I predict a bad season for New Orleans next year, complete with Cousins drama. At third in the Western Conference, Coach Mike D’Antoni has been good for the Houston Rockets. He finally has James Harden playing a tiny bit of defense–not as much as an MVP candidate should, but I digress. Harden’s manipulative offensive tactics proved too much to handle for many NBA teams, and the addition of Nene added a defensive presence that was completely missing before. However, the Rockets could use a little more fire power to assist Harden in his scoring efforts. Patrick Beverly is a solid contributor, but his questionable style of play often gets him into foul trouble. Given their late draft position, they may need to trade for a point guard or capitalize in free agency. It’s been reported that Chris Paul will be holding meetings with both the Rockets and the Nuggets in the off season to explore his free agency. Above all else, the Rockets must make defense a priority if they plan to make it past the first two rounds of the playoffs next season. Harden has made it clear that he will never make defense a big part of his game so the Rockets will need to surround him with a big defensive presence to pick up the slack. It’s crazy to think that the super team has any needs whatsoever in the upcoming NBA draft. They currently have no picks, but they may make a trade for a pick or two next Thursday. Shooting Guard Klay Thompson could bring in big offers, and his contribution to the Warriors doesn’t seem as valuable now that they have Kevin Durant and Stephen Curry on the roster together. I believe Zaza Pachulia is more of a liability than an asset, and I think the Warriors would do well to pick up a rookie center and rely on JaVale McGee and Draymond Green to handle things under the rim. The Clippers have had all the pieces of the puzzle but it’s hasn’t materialized into elite level play. They have a point guard, power forward, and center that couldn’t be better together on paper, but somehow they still miss the mark. More than anything this off season, I believe the Clippers need a new head coach. Ranking 4th in the West with Chris Paul, Blake Griffin, and DeAndre Jordan on your starting five, but getting eliminated in the first round of the playoffs means there is a coaching issue. Lob City needs to focus on keeping Paul in free agency and letting Doc Rivers move on. Memphis is also without a pick this season and their needs for next season are shooting and health. Their biggest focus should be looking into a good trade option for Zach Randolph to get a solid back up center for Marc Gasol. Gasol is one of the best centers in the league, but even he needs a good sub off the bench. Randolph is getting older and his ability to be physical under the rim will begin to wane as time goes by. Better to get a good rookie in there now to begin his apprenticeship under Gasol.